Marc started training in 2007 under Renzo Gracie black belt Gene Dunn, white-purple; trained under Marcelo Garcia purple-brown; received his black belt under Fabio Clemente & Leo Vieira and now trains under Fabio Clemente with team Checkmat NYC. Began training in 2008 when a friend recommended he learn "appropriate self-defense." Steven trained under Gene Dunn from white-purple belt. He began instructing as a White Belt, unheard of in most schools, but that allowed him to hone his skills faster. Steven received his brown belt from Marcelo Garcia during his four-year tenure there. Steven joined Team Fabio Clemente and found a professional environment that he was looking for. Training daily under the tutelage of Master Fabio Clemente with Professors Eduardo Capeluto, Pedro Fernandes, Zata Toscano, and Mike Kalika teaching or in class, Steven has embraced training around/through/ and with injuries. Steven is proud to be a Black Belt under Fabio Clemente. If you are someone who is worried about pre-existing injuries preventing you from training, Steven's advice; "Don't." Steven has trained through multiple disc herniations of the lumbar spine, lordosis, stenosis, and degenerative disc disease, prior to beginning BJJ training. Although a constant concern mindful training has allowed him to train in the most competitive environments. Steven had trained for four years with a completely torn right ACL, torn meniscus and torn partially torn MCL, from 2011-2015. He even competed in several smaller local BJJ tournaments, taking home a few medals including a gold. After the 2015 right ACL replacement, a competitive injury required a left ACL replacement too. After that he was able to train safely at Team Fabio Clemente through his Black Belt. Since then he has has a dual lumbar discectomy due to his pre-existing back issues. Even through it all Steven credits Jiu-Jitsu with keeping him in his best possible shape, increasing fluidity to his joints, and strengthening his mental resolve also. 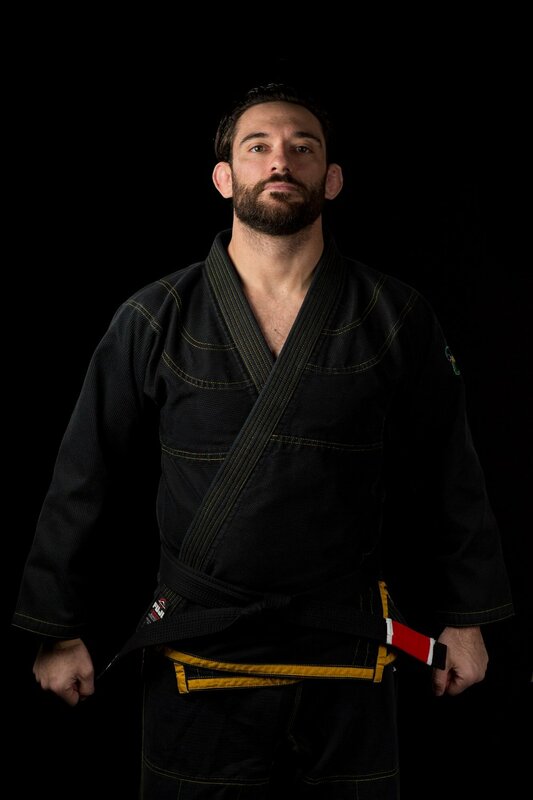 John started Brazilian Jiu-Jitsu in 2014 with team PSABJJ. As a Park Slope native he wanted to get better fitness and an understanding of grappling. John soon became a fixture on the mat, training consistently and also competing. You will see John training typically six days a week and often helping out in any of our beginner classes. Dante started with Professor Crocilla and Professor Adami when he was just 10 years old. Now, he is an assistant instructor for Little Grapplers and Junior Grapplers classes.